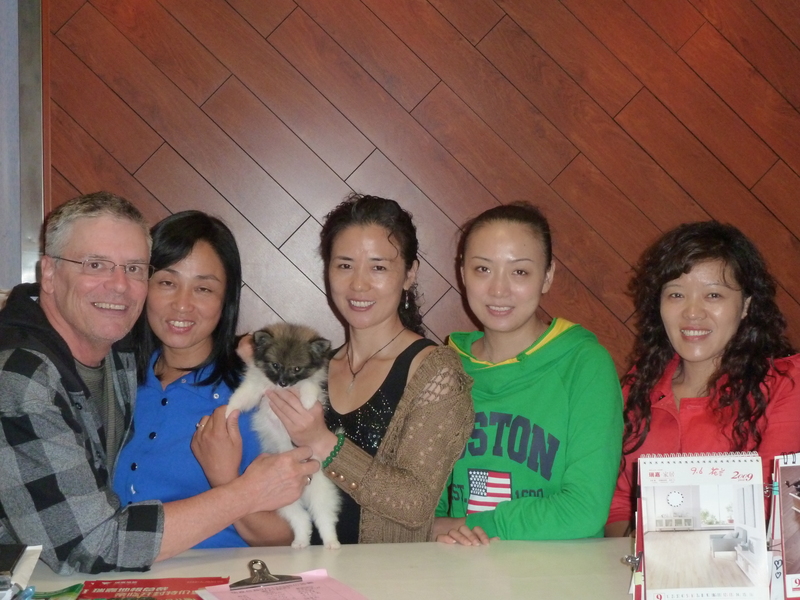 Some of my hostesses in Kaifeng in Central China where I spent 10 days in 2010. The woman on the far right owns a thriving tile and paint store with her husband. The two next to her are daughters and the lady in blue was one of my constant guides along with her brother who was out of college and jobless. But Johnson, a Pulitzer Prize-winning American journalist now based in Berlin and Beijing, has witnessed a transformation, one he documents in “The Souls of China: The Return of Religion After Mao,” published in April. China is experiencing “one of the great religious revivals of our time,” Johnson writes. 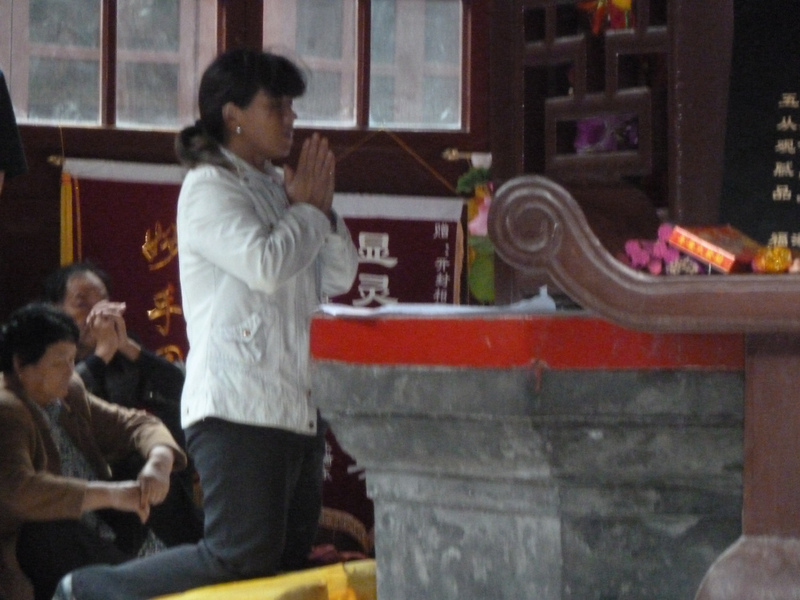 “Across China, hundreds of temples, mosques and churches open each year, attracting millions of new worshippers. … Faith and values are returning to the center of a national discussion over how to organize Chinese life. 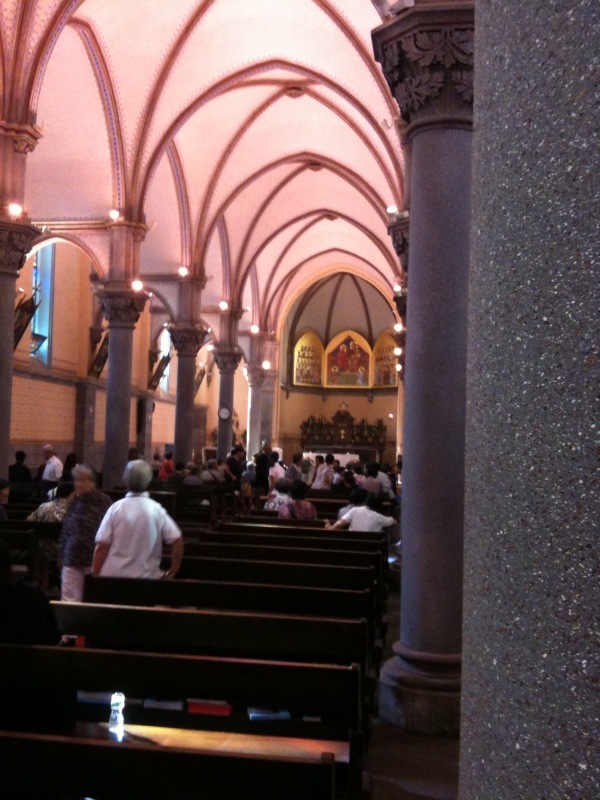 I attended mass at a Catholic Church which was next door to a small hotel where I stayed in Beijing seven years ago. A new book by Pulitzer-Prize winning writer Ian Johnson examines the explosion of religion these days in China. 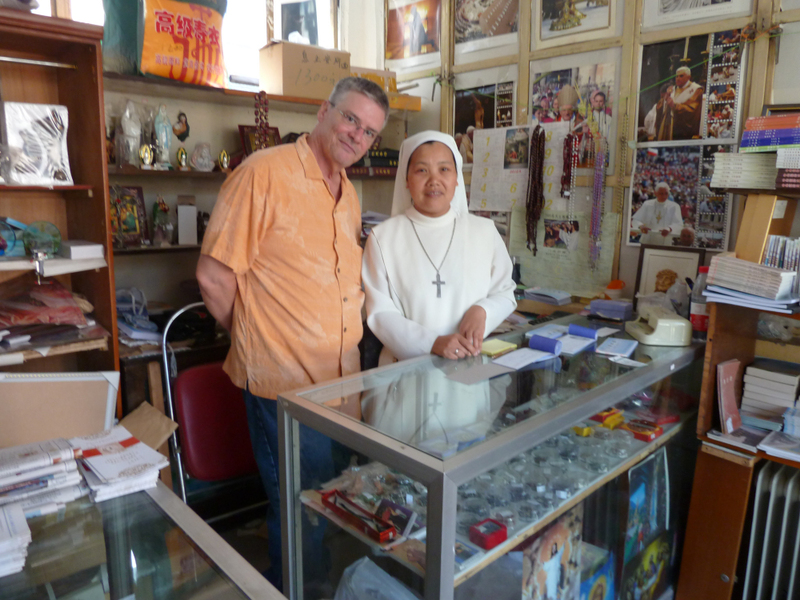 I met this nun at a Catholic bookstore in Beijing. Unfortunately, unlike many Chinese people today, she spoke no English but did speak Italian, which I don’t. 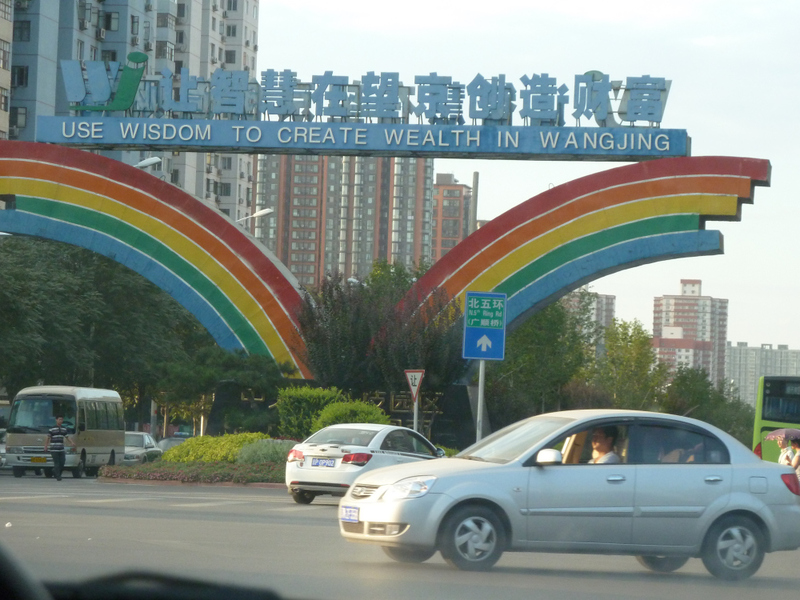 I decided to make my two-week tour of China after going to a Chinese “chat site” (remember those?) on the internet and befriending a Chinese businessman who had a thriving tiles-and-paint store. He and his family and friends treated me like royalty, putting me up in a nice hotel and providing me with young friends and family members, who speak better English than I do, as tour guides at my disposal 24-7. So I was interested in an article, which you can read here, about the explosion of religion in China these days. It’s by Ian Johnson, who won a Pulitzer Prize at The Wall Street Journal years ago. I never made it to the Great Wall because my guide and I took a wrong subway trying to get to the train station to catch a ride there and anyway, it was my last day in China and I was so exhausted from climbing steep stairs at temples all over China for two weeks I wasn’t really up to walking the wall. China has many and very many steep steps, Belize me. He’s a few more pix from that memorable China visit. Buddhism is big in China, of course. On the day I visited a kazillion-year-old Buddhist temple compound, it turned out to be a major Buddhist holiday and the many and very many old temples within the compound were packed with thousands of worshipers and monks. And yet there were so many temples–did I mention there were very many, like dozens–that I had no trouble finding a place to sit and observe and take pictures of folks. 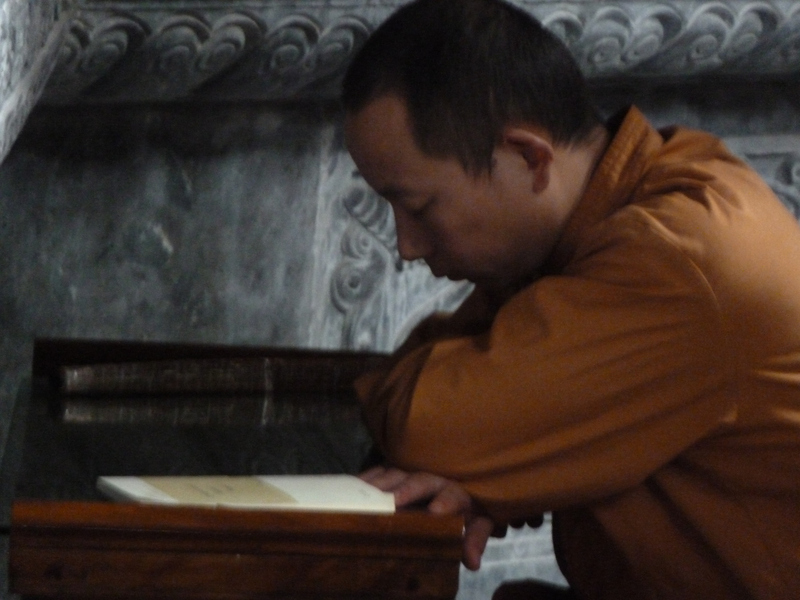 In one of the temples, a young monk at study. 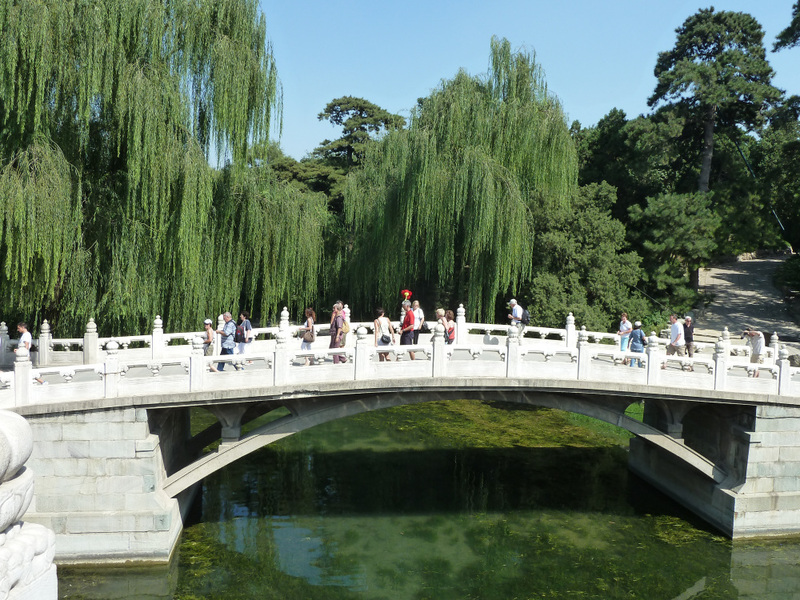 The parks in China are massive–and all of them gorgeous. You’ll see these kinds of signs all over the streets of Beijing. The Forbidden City. 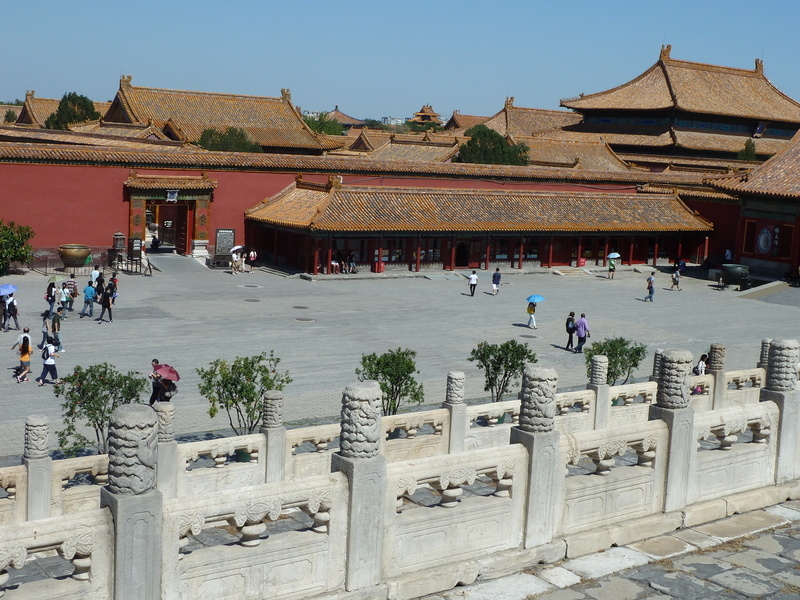 I spent six hours on a hot day walking through and around one ancient palace after another, and saw only a fraction of the city’s palaces. They contain 9,000 rooms. I was feeling tragic like I was Marlon Brando and getting all excited and this little China Girl said to me… Oh never mind. It’s personal.